Topics discussed included mandatory rest periods, number of entries and staggered starts, crewing outside water points, the appointment and rotation of FEI Officials, and rules enforcement. The committee is said to have received a vast amount of feedback from the Endurance community. Committee chairwoman Dr Sarah Coombs said she was encouraged by this week’s meeting. The committee held its first in-person meeting in mid-December. It went on to receive FEI Board approval for a change to the rules which introduces the concept of Severe Injury, with the same sanctions as for a Catastrophic Injury that requires euthanasia. This change is said to have been well received throughout the Endurance community and will be implemented from February 1. The rule change is intended to remove any incentive to truck a horse away from the ride site for euthanasia in a bid to avoid the penalty for a catastrophic injury. The FEI Board unanimously approved the rule change during its teleconference on December 19, just days after the committee recommended the move. However, a proposal to test a reduction in maximum heart rates and presentation times at Endurance events held between February 1 and April 1, 2019, has reportedly met with mixed reactions from organising committees and national federations hosting events during the two-month test period. Participating organisers would be asked to implement heart rates of 64 bpm for the first vet gate and 60 bpm thereafter, including the final inspection, all within 20 minutes. The committee will hold its next in-person meeting on February 22, following a full day of previously scheduled stakeholder consultations. There will also be a dedicated Endurance session at the FEI Sports Forum in mid-April, at which delegates will be provided with an update by the committee as part of the full consultation process before voting on proposed rule amendments at the FEI General Assembly in November. Separately, the FEI has this week sent out a reminder to Endurance trainers about big changes to the FEI anti-doping rules, which came into force on January 1. Under the new rules, automatic provisional suspension will be imposed on the registered trainer of any horse that tests positive to a banned substance or two or more controlled medications. 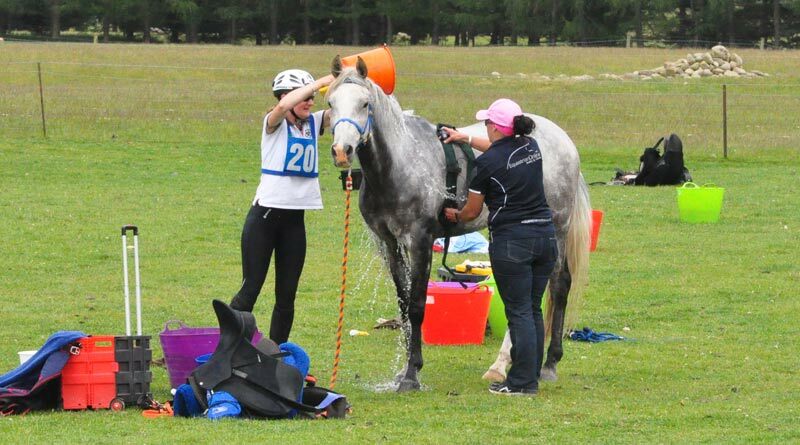 During the provisional suspension, trainers would not be able to train or enter horses under their direct or indirect care for either national or international Endurance events. Committee members are Dr Sarah Coombs, of Britain, Tarek Taher, of Saudi Arabia, Pieter Wiersinga, of the Netherlands, Dr Tim Parkin, of Britain, and Valerie Kanavy, of the United States. FEI vice-president Mark Samuel, of Canada, also attends the committee’s meetings to facilitate communications between the committee and the FEI Board.